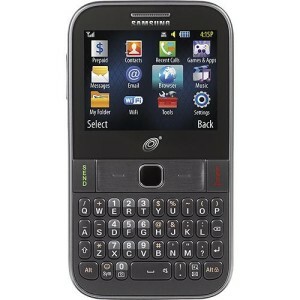 Samsung S380C Qwerty Keyboard Phone. For many people, a reliable regular feature phone, also called a non-smartphone cell phone or dumbphone, is all they need. Many consumers want just a basic regular cell phone for making calls and SMS texting. That said, a lot of feature phones can do more than just the basics as well, such as letting users do web browsing, connect via wifi, facebook updates, twitter, email communications, take good pictures and videos, play music and more. In this guide, we go over the various types of feature phones, comparisons with smartphones; and what factors to look for when picking a good phone. For background information, check out our No Contract Cell Phones guide. Flip phones are popular because they tend to be compact and handy. If you just want a regular cell phone, the flip phone is a worthy choice. Flip phones are easy to understand and use. You need to open up the phone to begin or receive a call. When the phone is flipped closed, the phone will not dial out accidentally. You don’t need to remember to lock your keyboard. The flip top also protects the number pad. 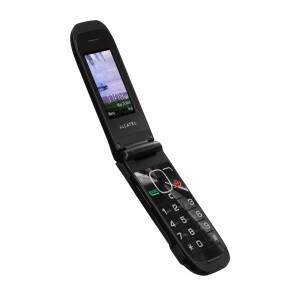 For a quality flip phone designed for the senior customer, check out the Jitterbug Flip. Some will display a touchscreen numbers keypad when a switch is turned on, while others have a physical keypad attached to it. Similarly, some have a virtual Qwerty keyboard for easy text messaging or email sending. Other touchscreen phones offer a combination of a touchscreen on the front and a slider physical keyboard for text messaging. A slider cover is another common form factor. A common design is to incorporate a slider Qwerty keyboard that slides out from underneath a touchscreen or numbers keypad on the front. Many smartphone users like the presence of a keyboard on their phone’s touchscreen for easy web browsing and messaging. A QWERTY keyboard is not a feature exclusive to smartphones. Non-smartphones can also include keyboards in their design, be it a physical or touchscreen one. Having a keyboard can make texting or email messaging a lot easier. Normal number keypads can do text messages, but it can be slow and cumbersome. 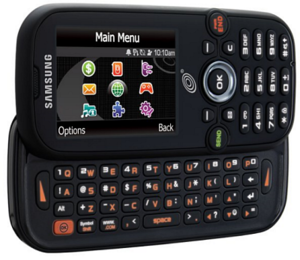 Feature phones with QWERTY keyboards come in various designs. They can be a physical slider QWERTY keyboard, as described above, or a frontal QWERTY keyboard (like on an older Blackberry). Easier to use – Many feature phones are straightforward and easy-to-use. Some people prefer typing on physical keypads or QWERTY keyboards, rather than virtual touchscreens. They are great for kids, seniors or laid back cell phone users who don’t want to be bothered with learning complex navigational menus. Cheaper phone cost – They cost anywhere from $5 to $40. For prepaid phones, the low pricing allows users to get set up with a good prepaid phone and service without the high expense that many smartphones entail. 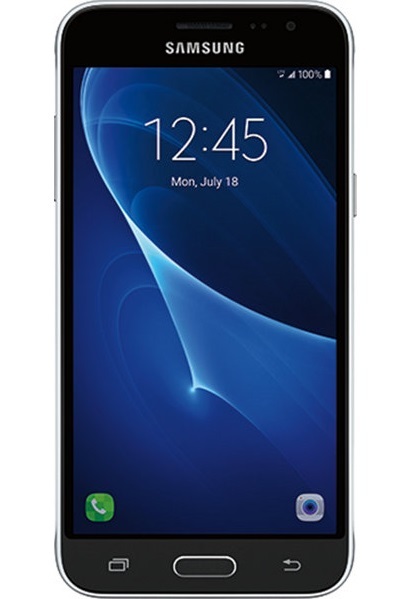 Although low in price, these are quality phones that can be used for the long term. Even if they are lost or damaged, they can be easily replaced. Some people do buy them as temporary phones or backup cell phones as well. Cheaper plans – Many prepaid no contract phone companies have higher minimum plan requirements for providing smartphone service compared to feature phones. Even if there are no minimums, users can save on unnecessary data plan purchases. Less battery drainage – A full battery charge can last for a number of days. Smartphones use a lot of battery power. On average, a full charge will only last a day. Most users need to recharge their phones daily. Less distracting – There is less reason to be distracted by your cell phone. Users can stay connected to their environment or participate in conversations with friends around them without feeling compelled to be on their phone all the time. 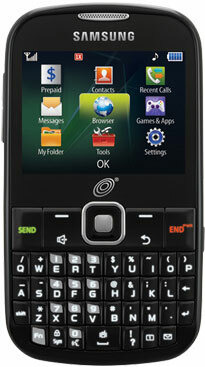 Higher-end feature phones have lots of advanced features that rival what smartphones can do. Users can connect these phones through wifi, use QWERTY keyboards for messaging, enjoy a touchscreen interface, access GPS tracking and much more. Notable differences comparison. The main differences between more advanced feature phones and smartphones are that users can’t use feature phone like mini-computers to run Apps (which could be important to some users) and/or play the latest popular iPhone or Android games. Feature phone web browsers also tend to be more difficult to navigate, and the display formatting can be awkward. Navigation gets difficult without a touchscreen or keyboard, and the lack of a computer like browser window. For more on smartphones, visit our smartphones shopping guide and no contract phones guide. Voice quality is mostly a result of the strength of the cellular tower signals, but phone models do play a role. Depending on the model, some cell phones do offer better reception and built-in voice handling technology to maximize the voice quality for users even when the signal is weak. When in doubt, stick with well-known brands like Samsung, LG, Nokia, Motorola etc. Some brands will state enhanced voice technology features. Whenever possible, check out what other users say about the phone in their reviews. Some regular cell phones have dedicated email apps that will sync directly with your email servers. Others allow email messaging only through mobile web access (wireless internet), so you may be limited to using only web-based emails. 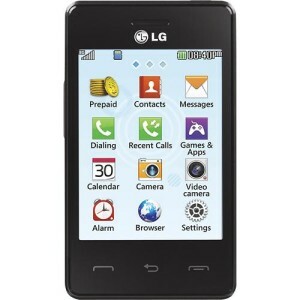 Some phones allow for wireless internet or mobile web access. This feature lets users access websites online. Note that feature phone web browsers may not be as sophisticated as those on smartphones, so don’t expect the web browsing experience to be on par. Still, it can be thrilling to have such freedom of access to the internet with a non-smartphone, especially with wifi or 3G connectivity. More advanced feature phones have Wifi connectivity. That means you can use wifi to browse the web or for emailing without spending any airtime credits or minutes. 3G connectivity allows for fast data speeds for web browsing or emails. Note that, unlike wifi, this will take up some airtime credits. Having a handsfree speakerphone built into the phone is always a good option. For example, you can keep the line open on speakerphone while waiting for a call to be answered by the “next available representative.” Fortunately, this feature is available with most basic cell phones. Bluetooth connectivity allows for bluetooth headsets to be attached to the phone. Sometimes, bluetooth is also useful to sync a cell phone handset up to a regular home phone base, for data transfers, and for connections to other devices and accessories. Having a good camera is always a welcome addition. Some phones even incorporate video recorders. How important you would rate the camera feature will depend on your preferences for taking pictures on the go without carrying a separate camera. A 1+ megapixel rating is not bad. Higher end feature phones may have 2+ megapixel cameras. Having an MP3 player might be important to some users. It is a common on regular cell phones. This saves users from having to carry a separate music device around. Phones with MP3 players and microSD expansion slots allow for more music to be carried around. Some cell phones are designed for senior use. They are easy to use, have bigger keypads and displays larger sized fonts with clear contrast. One example is the Alcatel A382G Big Easy offered by TracFone. Although it is based on a classic candy bar design, the look is updated. It also features Double Minutes For Life, which makes it very affordable to run. While some parents choose specially designed kids cell phones, many opt for an inexpensive and good feature phone with features that appeal to their children. Flip phones, slider or touchscreen feature phones for their kid all work well. Applications and features like games and cameras are appropriate for younger children. It makes the phone interesting enough to keep the children occupied and liking them. Qwerty keyboards are useful for texting. A lot of teenagers appreciate phones with wifi, QWERTY keyboards and/or touchscreens. Wifi connectivity means that the child can do more with their phones and it does not take up airtime credits. Touchscreen phones are modern looking, and the inclusion of on-screen virtual QWERTY keyboards allow for easy SMS text messaging. In addition, touchscreen phones are usually a little more sophisticated. Many have features such as social update apps and email checking/receiving capabilities. Sophisticated feature phones may still be termed non-smartphones, since they do not have a robust computer-like operating system. It’s hard to use the term “dumbphone” on these sophisticated devices, though. They do a lot, including some of the things that many assume only a smartphone can do. If they can do all that you require from a cell phone, you could save some good money as well as enjoy the many benefits of feature phones. For a basic overview on no contract phones and plans, check out the No Contract Cellular guide.